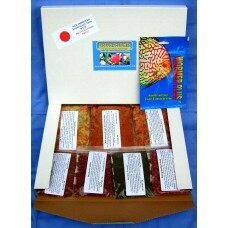 Discus delights no frill's pizza box style refill hamper pack with a 500 gallon pack of wormer plus. 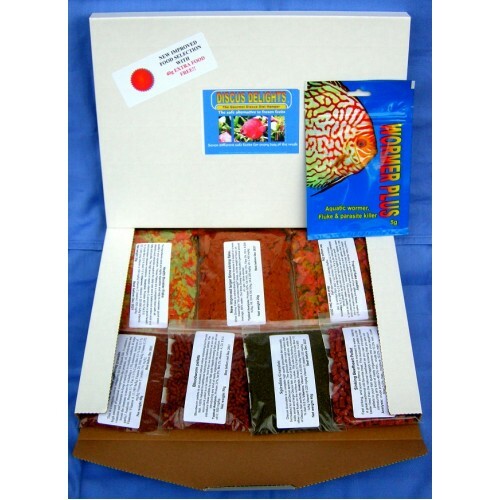 Home » Food » Discus Delights Hampers » Discus delights no frill's pizza box style refill hamper pack with a 500 gallon pack of wormer plus. Also included is a 500 UK gallon pack of wormer plus, aquatic wormer, fluke, and parasite killer.